Cold and a small field meant the only logical thing to do was attack from the gun to get a good warm up. I did and my teammates covered. Texas Kurt came with and we settled into a nice 50 minute TTT and easily stayed away for the duration. Awesome to have a breakaway companion that you know and won't screw you over so you can settle in and just do work. I took the win and 4 upgrade points. joe finished it off with 3rd and Nate 5th. Clif stomp. 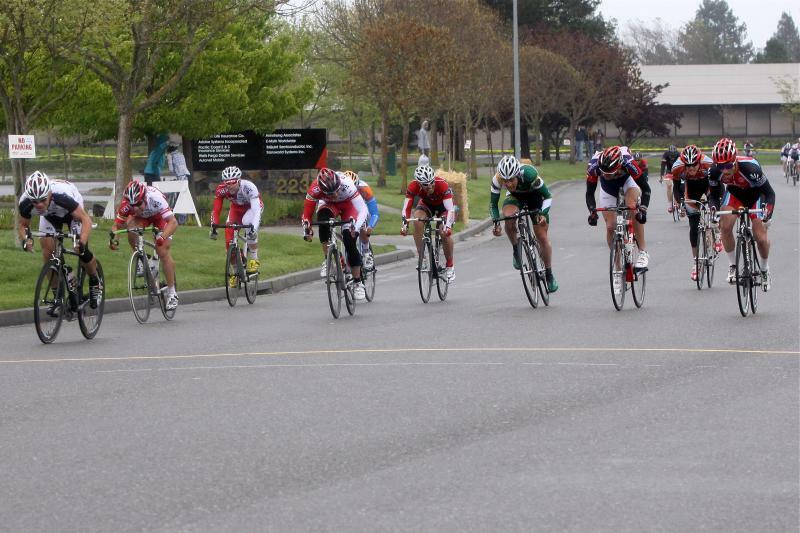 Was set to do the e2 and p/1/2/3 but after a rainy 2 race I went home. The race was dry for the first half but about 20 minute to go it started pouring. Riders were senselessly aggressive cornering sharp on the inside and over the paint in the wet, stupid. I spent a ton of energy staying 4 wheel for the last couple laps but couldn't get my legs to work in the sprint and suffered in for 6th with JOe just in front of me for 5th.